You asked and we brought it! 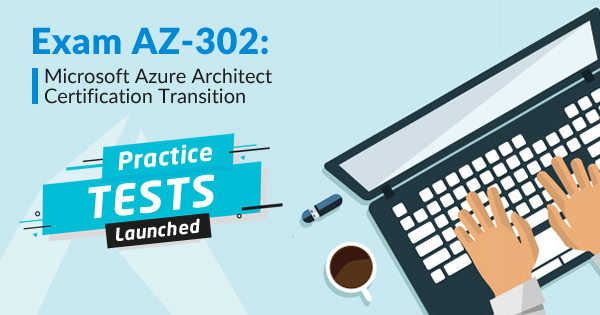 Yes, there is good news for those preparing for AZ-302: Microsoft Azure Solutions Architect Certification Transition. Here we launch the AZ-302 Practice tests that will help you in your AZ-302 exam preparation and make you all ready for the A-302 exam. Practice tests play an important role in your certification exam preparation. When you think that you are done with your certification preparation through all the resources, at that time, taking practice tests not only make you ready but also boost your confidence to take the real exam. Wondering if there is any free test for the Azure AZ-302 exam? Yes, we offer a free test with 15 practice questions, you can try it before purchasing the full-length tests. New Microsoft Azure certifications are more role-based. The 70-535 certification exam that was previously for the Azure Architect role. Exam 70-535 has now been replaced with the exams AZ-300 and exam AZ-301. Now, if you want to become a Microsoft Azure architect, you need to pass both of these exams. 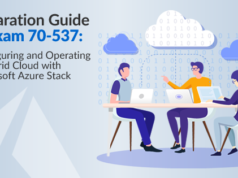 And those who have already passed 70-535 exam needs to update their 70-535 exam with the AZ-302: Microsoft Azure Solutions Architect Certification Transition exam. So, if you are the one preparing for AZ-302 exam, have a look at the Microsoft Azure AZ-302 exam basic information. Here we’ve mentioned the exam 70-535 as the prerequisite for the AZ-302 exam because AZ-302 exam is intended for those who have already passed the 70-535 exam. Although you can take AZ-302 exam even if you haven’t passed 70-535 exam, it won’t get you the badge of Microsoft Azure Architect Expert. Note that exam 70-535 has been expired on December 31, 2018, and exam AZ-302 is also valid for the limited period. It will get expired in June 2019. So, upgrade your 70-535 certification now with the AZ-302 certification exam. Haven’t already taken 70-535 exam? 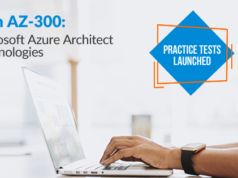 Start your preparation for the exam AZ-300 first to become an Azure Architect Expert. Follow this comprehensive AZ-300 exam preparation guide! These topics are the exam objectives of the AZ-302 certification, so make sure you have covered all these domains during your AZ-302 exam preparation. How will Whizlabs AZ-302 Practice Tests Help to Pass the Exam AZ-302? So, this is all that you get when you purchase full-length AZ-302 practice tests. Now, you will be wondering how these AZ-302 practice tests will help you in your exam preparation. 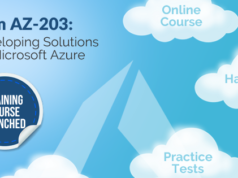 Here is an overview of how Whizlabs AZ-302 practice tests help you to pass the azure exam AZ-302. You can try the free test and check how many questions you can attempt correctly. It will tell you if you are really prepared for the exam and should take the full-length practice tests. The full-length practice exams cover all the objectives of the exam, so check your preparation in various domains to assess your preparation with the AZ-302 practice tests. The practice exams have the same pattern as that of the real exam, thus passing AZ 302 practice tests will make you confident enough that you could pass the real exam in the first attempt. You will find an exhaustive explanation to every question in the AZ 302 practice tests. Not only for the correct option, you will also find an explanation of why a particular option is incorrect. In the end, on the submission of the practice tests, a complete test report is generated. You can check your scores in the different domains to know your preparation level. The test reports assess your strengths and weaknesses, thus help you to work on your weak areas and get ready for the AZ-302 exam. You get 24/7 expert assistance while you prepare with the AZ-302 practice tests to ensure that none of your queries remain unsolved. Last but not least, Whizlabs AZ-302 practice tests come with lifetime validity and unlimited access. It means you can try AZ-302 practice tests as many times you want to get prepared well for the actual exam. Ready to Start Your Azure AZ-302 Exam Preparation? If you are going to start your preparation for the AZ-302 exam now, we’ll recommend you to follow the comprehensive AZ-302 exam preparation guide prepared by the experts. And when you think you are done with your preparation, it’s the right time to try AZ-302 practice tests and get completely ready. There is no doubt that the choice of the right preparation path is important for the success in an exam but the importance of practice can’t be ignored. For this, Whizlabs AZ 302 practice tests have been created that provides the environment of real exam and so you become confident to take the real exam. So, join us now and get ready to pass the AZ-302 certification exam. Have any queries/concerns regarding Azure AZ-302 exam? Participate in the discussion in Whizlabs Forum and get all of your queries resolved by the experts.